Not content with proposing to ruin the St George’s peninsula and surroundings, Manikata and Pwales, Xgħajra, Gozo and the area below Ta’ Kenuna in Nadur, etc., the attention now turns to Għargħur, where the usual greedy developers have applied to develop agricultural land (PA 0229/19). The area in question is situated in an urban conservation area and in what was originally intended to be a green area. This proposed internal development, which includes four villas, is going to create 60 metres of blank party walls four storeys high in the highest area of Għargħur, and only one of these walls will have a façade on Kromb il-Baħar Street, with the others encroaching on hitherto unbuilt areas. The proposed development is unacceptable since internal residential developments are not permitted within urban conservation areas. Then, the proposal runs counter to policy CG25 of the Central Malta Local Plan since no form of urban development is permitted within the designated Strategic Open Gaps. Structure Plan policy RCO 4 provides that, particularly within rural conservation areas, areas of scenic value will be protected and enhanced. And, by Jove, the area in which the site is located is certainly of considerable scenic value. The proposal would detract from all this, and so it would conflict with Structure Plan policy RCO 4. 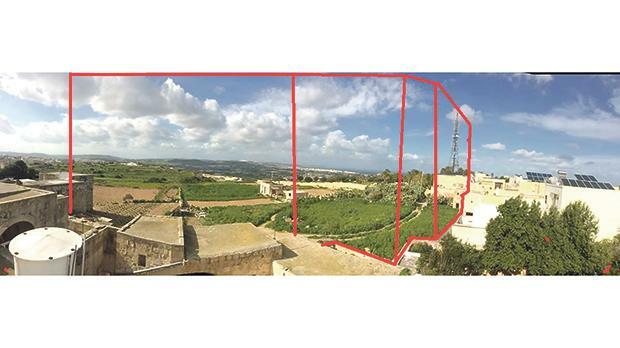 A third factor to take into consideration is that the proposal runs counter to Policy CG24 of the Central Malta Local Plan since urban development of sites classified as having agricultural value is not permitted. This particular proposal does not fall within one of the categories of development, namely structures or facilities essential to agricultural, ecological or scenic interests. These may be permitted in rural conservation areas where they meet the principles and criteria set out in Structure Plan policy RCO 4. This proposal is definitely not essential to, nor does it enhance, agricultural, ecological or scenic interests. What makes the proposal anathema is that this particular site is located in an area classified as ‘Site of Scientific Importance’ as indicated in the relevant map of the Central Malta Local Plan, where further human intervention, particularly in the form proposed, is not at all desirable. The proposal would therefore adversely affect the area, hinder its protection, and run counter to the rural conservation and ecological objectives of the Structure Plan. 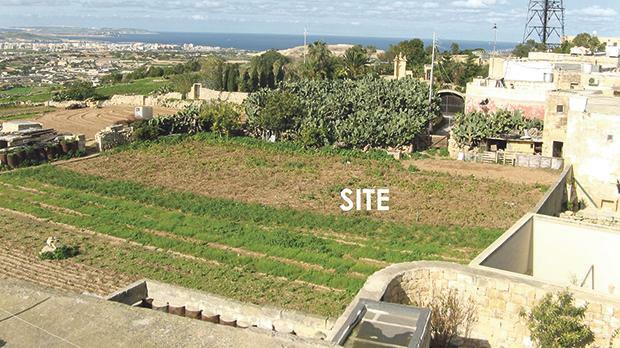 The land on which the four-storey development is proposed forms part of a series of fields that border the urban conservation area of Għargħur and extend down into the valley on to Victoria Lines. Can we imagine what damage to the rural characteristics of the place this development would cause? Another policy which this proposal runs counter to is Policy CG22 of the Central Malta Local Plan. Indeed, urban development of sites classified as having scientific importance will only be permitted if the development conforms with the relevant Structure Plan policies. The proposal does not comply with Structure Plan policy RCO 2 which clearly states that no form of urban development will be permitted within rural conservation areas. Finally, the proposed development runs counter to Structure Plan Policies AHF 4 and AHF 5 since the development of the ODZ part does not relate to any agricultural use since habitable units are planned to be constructed in this ODZ area. The above motivations given for refusal were not invented or concocted by me. They are the motivations given by the Planning Authority itself to refuse a previous request to develop the site. The previous proposal was a quarter of the size of the present proposal. But there are various other reasons why the application should be refused outright. In the local plan, Għargħur is defined as “a characteristic rural village situated between Naxxar to the west and Madliena to the east. The locality is an important example of a typical village still totally surrounded by rural areas of good quality agricultural land”. Can we imagine what damage to the rural characteristics of the place this development would cause? The land in question forms part of a series of fields that border the urban conservation area of Għargħur and extend down into the valley on to the Victoria Lines. The proposed development will eliminate further useful agricultural land. The images here reproduced show the farmed land under consideration. The proposed development will also lead to more traffic chaos. In fact, the access to the land is extremely restricted and convoluted. 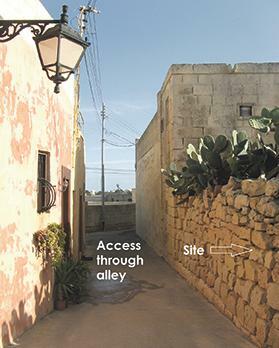 Kromb il-Baħar alley, which leads to the actual site, is only about 2.8 metres wide and there is no other exit. The entire system of alleys averages a width of only three metres, so there is practically no space for the passage of a car and a pedestrian, let alone for two cars crossing each other’s path. As already stated, the proposed development will be accessible from Kromb il-Baħar Alley. This alley is particular not only for its traditional winding, narrow lanes bordered with old and restored village houses but also because it integrates the village core with the surrounding rural areas. We would witness the demise of the traditional rubble walls that adorn the area if the project were to be approved. The attached images show the urban to rural character displayed along the exact location of the proposed development. Moreover, the agricultural fields in this area were clearly outside the original development schemes and the Urban Conservation Area boundary, ergo in ODZ areas. Approving the project would basically mean saying “bye-bye” to more ODZ land. And, what about the visual impact on the whole of the Għargħur landscape? The blocked visual is marked in red in the photo. The impact is simply devastating. Do the Maltese people of goodwill want to continue participating in this continuous obliteration and evisceration of our nation’s natural beauty? Arnold Cassola, candidate for MEP elections, is former secretary general of the European Green Party.